The Fulbright Public Policy Fellowship provides opportunities for U.S. early and mid-career professionals and practitioners to serve in professional placements in a foreign government ministry or institution in partner governments around the world. Fulbright Public Policy Fellows build mutual understanding and contribute to strengthening the public sector while cultivating public policy experience in their desired area of expertise. The Fulbright Public Policy Fellowship also includes an independent research component that focuses on an issue that is beneficial for the host ministry and the Fellow. The Fellows will have an opportunity to build their knowledge and skills, provide support to partner country institutions, and promote long-term ties between the U.S. and the partner country through this flexible and innovative Fulbright program. Applications will be accepted in any public policy applicable area. The fields and focus areas listed below are of specific interest to the participating countries, but applications in all related public policy fields are encouraged. Potential Host Ministries/Focus Areas: Ministry of Women and Vulnerable Communities, Ministry of Social Inclusion, and the Mesa de Concertación de Lucha contra la Pobreza (a multiparty group that works on policies to fight poverty). Language: Advanced (superior) Spanish is required. Language: Fulbright Public Policy Fellows for Myanmar do not need Myanmar language proficiency skills, though they are helpful. Fellows communicating in English are strongly encouraged to use simple, clear English spoken slowly with counterparts until their facility with English is clear. Language: French proficiency is required. Language: Level of Ukrainian depends on ministry. Preferred: basic level of Ukrainian or Russian language skills for some specific ministries; others work in English on a regular basis. 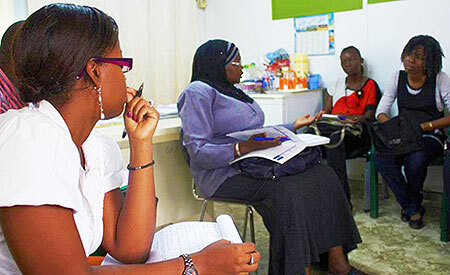 Fellows will work with ministry officials as “technical specialists” where they will assist by immersing themselves in ongoing assignments and new initiatives, at the direction and under the supervision of host government officials, related to their sector and contribute to public policy-related projects that benefit the host country. In addition, Fellows will undertake a self-directed independent research project related to their area of expertise. Fellows will be hosted by their relevant ministry and spend approximately 80% of their time carrying out ministry-directed projects. Approximately 20% of their time will be dedicated to their independent research project. Fellows must work with their ministry supervisors to agree upon a schedule to carry out the required time commitment. The schedule will be determined on an individualized basis and will take different forms depending on the country and responsibilities in the placement. The research project is expected to be an independent project proposed during the application phase, but should be focused on a field or sector and relate to the ministry placement and be adaptable to correspond to the work done in the ministry. The minimum length of the total grant is four months and the maximum is nine months. Eight to nine-month grants are preferred. Earliest start date is July 2020; latest start date is May 2021. Grants for the Fulbright Public Policy Fellowship have a flexible start date and also flexible timeframe of a semester or academic year (4-9 months), with sufficient time to carry out the goals of the project. Pre-Departure Orientation Fellows will participate in an in-person pre-departure orientation (approximately 2.5 days) in June 2020. The minimum length of the total grant is four months and the maximum is nine months. See Catalog of Awards for more information. Successful candidates will include early to mid-career entrepreneurial and self-starter professionals with a graduate degree in a public-policy related field (e.g., JD, MPA, MPH) and a minimum of three to five years of full-time work experience. Postdoctoral candidates and practitioners active in the academic, public, or private sectors with a record of experience and accomplishment in a public policy related area are encouraged to apply. Candidates with field-specific background applicable to public policy (e.g.., Energy, Agriculture, Engineering) are preferred. PhD is not required. Doctoral degree holders are eligible as long as they have three to five years of public policy relevant experience – as a professional/practitioner outside of the classroom. Candidates enrolled in a PhD are eligible as long as they have a MA degree AND three to five years of experience. Candidates who have gone directly from undergraduate to PhD and have completed the PhD, but do not have any work experience are not eligible. Where there is competition for grants, preference will be given to candidates who have not had previous Fulbright grants, especially within the past ten years. View the J. William Fulbright Foreign Scholarship Board’s policies on previous Fulbright Scholar grants here. For further guidance, please refer to the relevant section in the Application Requirements and Review Criteria. Preference is generally given to candidates who have not had substantial recent experience abroad in the country to which they are applying (see eligibility). A candidate who has resided abroad for five or more consecutive years in the six-year period preceding the date of application is ineligible for a grant. For the purpose of this section, a candidate who has lived outside the United States for nine months or more during a calendar year is deemed to have resided abroad for that year. Only U.S. citizens are eligible to apply for a grant through the core U.S. Fulbright Scholar Program. If you live abroad and are not a citizen of the United States, and would like to apply for a grant to visit the U.S., please visit the Visiting Fulbright Scholar Program. All applications require a project statement. This is your opportunity to explain your proposed project and specific strengths as a candidate to reviewers and potential hosts. Start with the big question – what are you proposing to do, what ministry, why is it important, why you, and what impact do you hope to have? It must be clear and compelling to audiences both inside and outside your field. Additional guidelines regarding the contents of the statement are below. Fulbright Public Policy Fellows will be hosted by ministry officials as “technical specialists” and spend approximately 80% of their time carrying out ministry-directed projects. Approximately 20% of their time will be dedicated to their independent research project. What are your goals, what do you propose do to? How will you engage with the host country, including in the office and in the community? How will you contribute toward the promotion of cultural exchange and mutual understanding? What specific skills have you developed from your professional and educational experiences that may be considered transferable and beneficial to any potential host ministry? Do you have additional skills related to professional experiences which may provide insight into policy-related portfolios? What challenges do you expect to face as a foreign national working in the host country government? How will you adapt, address, or manage them? Provide examples of your familiarity with the culture and chief public policy challenges of the country/region for which you are applying. What is the trajectory you have followed, and what are your plans for the future? This is separate from the facts presented elsewhere in the application and may address their personal history, background, development and the opportunities to which you have, or have not been exposed. Describe how you have supported and assisted other policy related projects and how you have collaborated with others when there is a specific directive to address. What do you propose to do? State clearly methodology and the nature of your research (quantitative or qualitative). What significance does it hold for your discipline, your development, the host country’s benefit, and how will the results be disseminated? How feasible is your project in terms of resources and amount of time allocated? Why does it need to be done in this country? What research facilities and resources are found in the host country? How could local political or cultural issues impact your work? All applicants must include their resume which details their relevant professional experience. List employment history, including relevant public policy and other professional experience. If including publications, use full citations. For the research component of your project, you must upload a bibliography relevant to the proposed project. The bibliography should contain sources reflecting the current state of research or work on your proposed topic, and helps to demonstrate how the proposed research will contribute to existing work. It can be a list of sources, or it can be annotated or explanatory. Applicants may choose the citation style to be used consistently throughout the bibliography. The bibliography is not meant to be a biography nor should it consist solely of your publications. Suitability of the applicant: Professional record in a relevant public policy sector as evidenced by the previous three to five years of work experience. Relevant and appropriate expertise to complete the proposed activities successfully. Quality of the project: project’s significance; feasibility in terms of resources available and time allocated to the project; for the research project, originality of topic, clear methodology. Need for residence in host country to accomplish the project. Potential impact: ability to identify and address the needs and interests of the host ministry and host country; potential benefit to the host country, applicant, and their discipline; potential for outreach to the public in host and home country, and to establish lasting connections and ties with the host country; ability to carry out the project and impact your sector/specialty area. Record of service to the field and the home institution. Ability to serve as an unofficial cultural ambassador for the United States, including, but not limited to personal attributes of collegiality, cultural adaptability and sensitivity, a strong service orientation and high degree of versatility, resourcefulness, and creativity. Foreign language proficiency as specified in the award description for the relevant proposed host country, or commensurate with the requirements of the proposed project. Preference will be given to early or mid-career academics, applied researchers and/or professionals with research experience in the public, non-profit, or private sectors. Where there is competition for grants, preference will be given to candidates who have not had previous Fulbright grants, especially within the past ten years. View the J. William Fulbright Foreign Scholarship Board’s policies on previous Fulbright Scholar grants here. In-country residence at the time of application or a recent extended stay may reduce chances for an award to that country. Duty abroad in the U.S. Armed Forces, however, is not considered disqualifying within the meaning of this section. Other factors being equal, and to the extent possible, applicants are chosen to represent a broad geographic distribution, by both home state and type of institution. Candidates who have served in the Armed Forces of the United States will be given preference, provided their qualifications are approximately equivalent to those of other candidates. Please note, only complete applications, including three letters of reference, will be accepted for consideration. For information on components of the application, refer to the Application Guidelines and Step-by-Step Instructions. The application is available online. Please read the application guidelines before beginning your application. What is meant by early career? Is there a profile of a candidate that is the target of the application? Early to mid-career entrepreneurial and self-starter professionals with a graduate degree in a public-policy related field (e.g., JD, MPA, MPH) and a minimum of three to five years of full-time work experience. Postdoctoral candidates and practitioners active in the public or private sectors with a record of experience and accomplishment in a public policy related area are encouraged to apply. Candidates with field-specific background applicable to public policy (e.g., Energy, Agriculture, Engineering) are preferred. Peru- Advanced (Superior) Spanish is required. Burma - Burmese language fluency is not required but helpful. Coite d’Ivoire - Proficiency in French is required. Fulbright Public Policy Fellows will be required to carry out a position in a foreign government ministry effectively and seamlessly. Meeting the language requirements is critical for completing the daily requirements of the professional placement. For research grant activity, language fluency sufficient to complete the research project is required. For applicants without local language proficiency, feasibility of conducting research must be demonstrated in both the project statement and the language self-evaluation form of the Fulbright application. Non-native speakers who have local language abilities will be asked to also register an external evaluator within the application. A letter of invitation should not be sought/is not required for professional placement. Applicants should not contact potential host ministries to organize or advocate for a placement. Placements are negotiated directly between the U.S. Embassy and the Host Ministry. A letter of invitation from organization or academic institution supporting the research component is also not required but may be submitted. Dependent benefits are not available under the Fulbright Public Policy Fellowship. Applications should be written with a focus on one country, Interest in a second country may be identified on the application, applicants must meet all requirements for each country to which they are applying. Can I apply to the Fulbright Public Policy Fellowship if I am on the Fulbright Specialist Roster? You are allowed to apply to the Fulbright Public Policy Fellowship while on the Fulbright Specialist roster. Recipients of a Fulbright Specialist Program grant are not required to adhere to the two-year waiting period before applying for a Fulbright Public Policy Fellowship grant. Likewise, recipients of a Fulbright Public Policy Fellowship grant are not required to adhere to the two-year waiting period before applying for a Fulbright Specialist Program grant. There is no "formula" for a successful grant. Each individual's application should be about the candidate, how the grant time will be spent, and what outcomes can be reasonably expected. What is successful for one applicant may not be effective for another applicant. See our application guidelines for tips on making your application more competitive. While it is useful to have someone with a known reputation in the field, the best criteria for recommendations is someone who knows your work and character extensively. We also advise mixing internal (individuals at your current place of work) and external letters (individuals outside of your current place of work, but who know you well) to demonstrate the breadth of your contacts. Professional references who can speak to your practical work experience and skillset are encouraged; references who are only able to discuss your academic/classroom experience are accepted but not preferred. What type of research project will be accepted? Research projects should be an independent, public policy focused proposal that identifies and addresses the needs and interests of the host ministry and host country; demonstrates potential to advance knowledge, and to establish lasting connections and ties with the host country. A smaller component of the Fellowship 20% of total time), the independent research project must be carried out in consultation with the ministry, on a schedule that meets the ministry project timeline/goals/etc for your specific assignment. Applications are reviewed by Peer Review Committee comprised of public policy professionals and academics. Recommended applications will be reviewed by the US Embassy or Fulbright Commission in the host country, followed by interviews. IIE will notify candidates of their selection status. Monthly benefits will follow the rates for Core Fulbright U.S. Scholar grants in each proposed country. See awards.cies.org for more details. Dependent benefits are not available under the Fulbright Public Policy Fellowship. Final grant amounts will be determined prior to the start of the 2019-20 academic year and are subject to the availability of congressionally appropriated funds. The United States Department of State reserves the right to alter, without notice, participating countries, number of awards and allowances. Round-trip, economy-class, international travel for the grantee provided. Relocation Allowance of $500 provided. A $750 research and professional development allowance is provided to be used for research materials; expenses related to the placement such as site visits, training, or materials. Final grant amounts will be determined prior to the start of the 2019-2020 academic year and are subject to the availability of funds. The United States Department of State reserves the right to alter, without notice, participating countries, number of awards and allowances.